SEPTEMBER 2014 VOICE: By any fair measure, five years is a considerable amount of time. It’s half a decade, longer than a presidential or gubernatorial term in office and exceeds the time spent in high school or college. For Leominster’s retirees and survivors five years may only be the beginning of their wait for a modest and much needed cost-of-living adjustment (COLA). Earlier this year, despite the continued best efforts of Leominster retirement board members, John Picone and Paul Doig, the city’s retirees were denied a COLA increase for the fifth consecutive year. The Board, by a majority vote controlled by Mayor Dean Mazzarella, annually strikes down a COLA by a 3-2 margin – thus casting off Leominster retirees to be treated second rate in the retirement community. Meanwhile, for the past five years Social Security recipients have seen their benefits increase approximately 7% on their total benefits, while Leominster retirees have seen nothing. They continue to spiral downwards with no chance of catching up and that’s unconscionable! See a report in the Leominster Sential and Enterprise on the Leominster COLA denial by clicking here. Of the 105 retirement systems in Massachusetts, none other than Leominster has refused to make a COLA payment in recent years. And only one other, Somerville, has missed a COLA since 1998. The law allows local retirement systems to pay a COLA based on the annual Consumer Price Index (CPI), up to a maximum of 3% on a COLA base. Boards can also opt for a straight 3% increase. Local COLA bases range from $12,000 (Leominster) to $18,000 (Hampden County and Montague). The legislature has approved annual 3% COLAs each year since 1998 for state and teacher retirees, who now have a $13,000 COLA base. When looking at the annual CPI, Leominsters’s denial of COLAs has cost its retirees $360 (FY13), $204 (FY14) and $180 (FY15). However, since the COLA becomes a permanent part of one’s pension base, the real impact is a loss of some $744 a year. If Leominster has paid the full 3% COLA, as the state legislature and most local retirement systems routinely do, the total would be a collective $1,800. At first glance one would think that the refusal to grant COLAs reflects a dire financial situation or struggling retirement system. However, for Leominster, nothing can be further from the truth. The city’s retirement system boasts one of the best financially performing public pension funds in Massachusetts. In 2013 the system earned a jaw dropping 21.82%! Over the last 5 years it averaged 13.31% to gain a funded status of 80.2% as of January 1, 2013. By all reasonable measures, the Leominster system is approaching 90% funded and on track to fully payoff ALL unfunded liability prior to 2020, placing it among the top 5 retirement systems statewide. However, the approach, taken by Mayor Mazzarella and carried out by his retirement board Chairman and City Comptroller John Richard, takes a remarkably different approach. Despite a 28-year track record of investment returns averaging 8.83%, the Board has lowered its assumed investment rate of return to just 5.5% - more than 3% lower than the historical average. Oddly, this move mimics the playbook of leading rightwing conservative think tanks, which advocate for artificially low investment return assumptions. In practice, a lower assumed rate artificially grows a system’s unfunded liabilities, lowers the funding status level and significantly increases the annual appropriation required of taxpayers. Prior to this recent move, the system already had one of the lowest assumed rates of return of any public system in the country at 6.75%. In making the unprecedented move to 5.5%, the board has manipulated its liabilities in such a manner as to eliminate any possibility of granting COLAs to the city’s retirees and survivors. For example, by further reducing the assumption rate (for the current FY15) unfunded liabilities are more than doubled to $39.9M. Until recently the Board had traditionally used a 8% assumption rate with liabilities scheduled to be at only $13M for FY15, according to the funding schedule established by the Board in 2011. At the close of 2011, the City was on track to be fully funded by 2016. The success of the fund comes despite the severe losses that occurred due to the 2008 financial market crash, when the fund value dropped to a low point of $72 million. Like most Massachusetts public systems, Leominster has now all but erased the losses and doubled the size of the fund to $143 million as of January 1, 2014. One might ask why the need for a drastically conservative revision of the funding schedule? It appears only John Richards and Mayor Mazzarella can answer that question. It also begs the question: Is the refusal to pay a COLA and drastic reduction of the assumed investment rate of return nothing more than a financial shell game? This extremely conservative approach for pension funding has been adopted on the backs of Leominster retirees. By repeatedly denying a COLA, the majority of this Board ­– David Laplante, Mark O’Donnell along with Richard – seem to be claiming the investment earnings of the retirement system as solely city property and not funds set aside for the system’s stated purpose, namely retirement benefits for the members who contribute to it. Not only has the city denied even the minimum CPI increase for their retirees throughout this period, but the board also eliminated any funding assumption for future COLAs from its pension funding schedule. The message being sent to Leominster retirees is that the Mayor and his majority on the retirement board have no intention to pay another COLA. For whatever reason, COLA increases may not seem much to these Board members but with more than 60% of the Leominster retirees, over the age of 70, who receive an average benefit of approximately $15,200 annually, this COLA increase is enormously important to them! Now with assets climbing to the $143M level, the Board has unilaterally voted, without the recommendation of their consulting actuary, Larry Stone, to further lower their investment assumption to 5.5% in an effort to reduce such funding progress. The net result is that their funding level remains at a lower 80% instead of an estimated 90% level they would be at if they maintained the very conservative 6.75% assumption originally set for the upcoming FY15 appropriation amount. It should be noted that the vast majority of public pension systems now assume rates of return ranging from 7.50% - 8% as an industry standard. Using an artificially low investment rate of return also inflates the projected cost of COLAs, serving as a quasi justification for inaction. In other words, the majority-controlled board has created its own false reasoning to seemingly avoid paying COLAs. Whether it’s the intent of the mayor and his Board majority to downplay the true financial condition of the Leominster Retirement system in order that they can continue to justify savings from denying COLA increases or that using such low investment assumption is to truly diminish the City’s risk, it’s being decided solely to enhance their ability to reach full funded status. 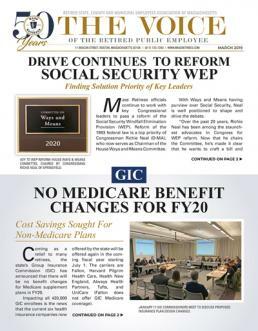 Regardless of the perceived justification, these acts have already proved harmful to existing retirees and taxpayers alike. We would also argue that these actions are unnecessary and, ultimately, irresponsible. Not only have retirees gone without much needed COLAs, the annual costs to local taxpayers have been needlessly increased by millions of dollars. Our hope is that Mayor Mazzarella reconsiders his approach and lends his support to retirement policies that are not only fair to retirees, but are also grounded in reality for a system that is 90% funded. To do otherwise is unconscionable.